On 24th July 2017 the Ministry of Defence received approval from the Government to purchase 80 Iveco 4x4 Light Multirole Vehicles (LMVs) for the Army of the Czech Republic in 2020-2024. On 26th July 2018 the Minister of Defence Lubomír Metnar agreed to place the order, the contract with VOP CZ and VVÚ (Military Research Institute) should be signed in September, and the price would reach CZK 5.1 billion (USD 230 million). 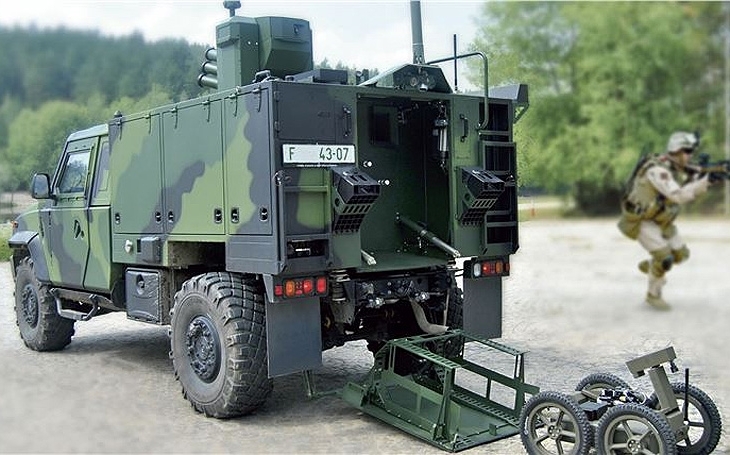 The vehicles are specifically meant for the 31st Regiment of Radiological, Chemical and Biological Protection in Liberec, where they will replace the obsolete Armoured Reconnaissance Carriers BDRM-2 RCH. The 31st Regiment of Radiological, Chemical and Biological Protection is composed of the 311th and 312nd Radiological, Chemical and Biological Protection Battalions and the 314th Weapons of Mass Destruction (WMD) Warning Centre. In the past nearly 30 years the Czech CBRN Protection units were deployed in major NATO operations, in Kuwait (Desert Storm), former Yugloslavia, Kosovo, and in Afghanistan or Iraq recently (the 1st CBRN Military Training Team assumed its operational task within the Inherent Resolve Operation on 1st February 2018), and gained high reputation. The branch can trace its history back to WWI, when the fire-fighting units were the pioneers of defence against chemical weapons, a new threat emerging on the battlefields. With the formation of the new Czechoslovak Army, the Chemical Corps was established in 1919, and since 1955 the units have always been based in Liberec. Besides the CBRN Protection units an essential role is played, since 1998, by the NBC Defence Institute which is a part of the University of Defence. The Czech Republic is also a NATO accredited nation for the Joint Chemical, Biological, Radiation and Nuclear (JCBRN) Defence Centre of Excellence (COE) based in Vyškov (South Moravia) which develops defence doctrines, standards and knowledge to improve interoperability and defence and protection capabilities. Czech Army is currently operating 120 Iveco 4x4 Light Multirole Vehicles (LMV), delivered between 2008 and 2013 in 11 variants with the most common being 72 LOV 50 Bs, equipped with the Protector M151A2 Remote Weapon Station (RWS) mounted with a 12.7mm Machine Gun, two Falcon III radio stations, the VICM 200 intercom system or the WBS 2500 jammer; 80 new vehicles will come in two variants: S-LOV-CBRN and LOV-CBRN II. They are to replace the Soviet-era Armoured Reconnaissance Carrier BRDM-2rch, a wheeled amphibious armoured 4x4 vehicle designed for chemical, biological and radiological reconnaissance, marking of contaminated areas, sampling of contaminated earth, food and water, and their evaluation. It is also capable of carrying out meteo observations and reporting on radiological and chemical situations. 40 S-LOV-CBRN vehicles and 40 LOV-CBRN II vehicles. FN MAG 7.62x51mm NATO caliber Machine Gun. measuring of basic parameters of the meteorological situation. air transportability by the C-130 HERCULES aircraft and sling-load transportability by helicopter. The S-LOV-CBRN, unveiled at IDET 2013 exposition, comes with the P-LOV-CBRN trailer. 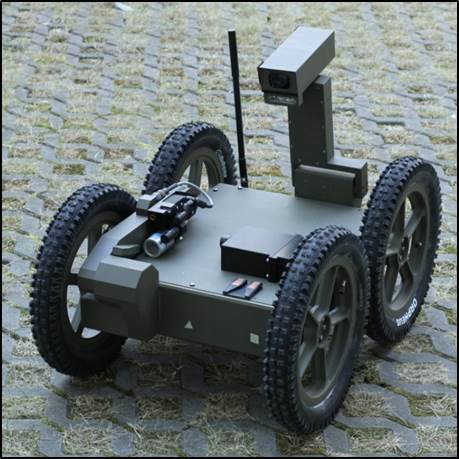 The vehicle carries the Orpheus AC Military Robot for Chemical Contamination and Radiation Measurement equipped by special sensors and multi-purpose arm, developed by the Brno University of Technology.